Fine dining at SUI-REN restaurant at the Shore Club resort. Lunch at Las Brisas restaurant on Chalk Sound, Providenciales. The Turks and Caicos is becoming a great vacation destination for food connoisseurs, and an entire spectrum of cuisines and flavours can be found in our restaurants. Providenciales is the undeniable centre of dining in the country, yet our smaller islands and cays each offer a unique perspective as well. The various islands in the Turks and Caicos differ greatly in restaurant and dining offerings. If you know which of our islands you’ll be visiting, check out our island specific dining guides. 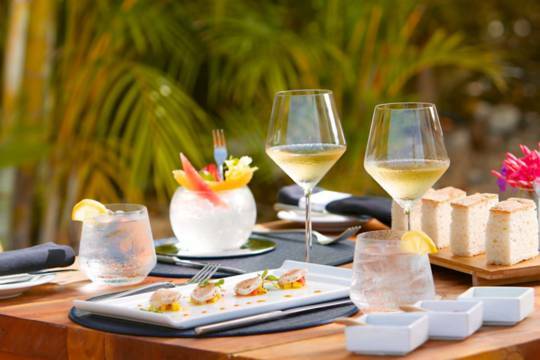 The dining situation in the Turks and Caicos has evolved quite a bit over the last few decades, and there’s a wide selection of cuisines and elegant venues to choose from. 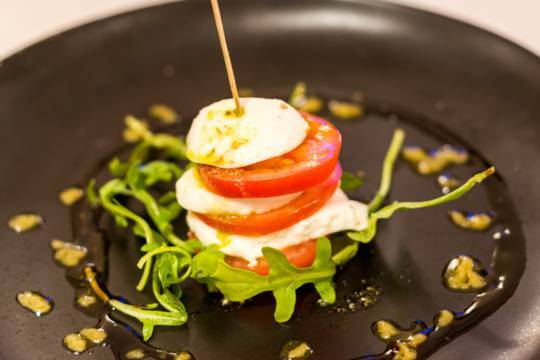 Providenciales supports a vibrant gourmet scene, with over fifty restaurant options. The majority of these locations are found in the tourism region of Grace Bay, yet there are outliers at some of the secluded resorts as well. With the influx of luxury tourism, many restaurants have evolved a delicious fusion of international tastes and local seafood dishes. 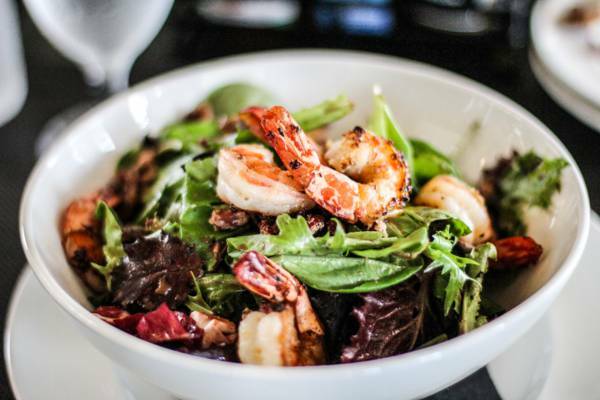 Blackened shrimp salad from Fairways at the Provo Golf Club. It's commonly said that San Francisco is the city with the most restaurants per household in the United States (at 39.3 restaurants per 10,000 households). However, the Turks and Caicos Islands easily surpasses the Fog City with a ratio of 74.6 restaurants per 10,000. A restaurant is nothing without a top chef, and many of the establishments on Providenciales are headed by internationally-recognized and award-winning chefs. For the traditionalists, authentic Japanese, Italian, French, Moroccan, Thai, Indian, Jamaican and many other restaurants await as well. Restaurants typically stock a great complement of wine and alcohol of wide origins and vintages. Special requests and diets will often be accommodated by local restaurants. We advise making enquires in advance of visits, so the kitchen can ensure that appropriate ingredients are available. A great vacation experience is to go deep sea sport fishing, and have a local restaurant prepare the catch. Local fish includes yellowfin, bluefin and blackfin and skipjack tuna, mahi-mahi, wahoo, and mackerel. If you’d rather try your hand at reef fishing, Nassau grouper and red, mutton and yellowtail snappers also are excellent eating. An excellently prepared lobster dinner at Daniel’s Café on Middle Caicos. Before the tourism industry took off in the Turks and Caicos, the common fare to the country tended to utilize rather humble ingredients. Even considering this, a unique and tasty fare developed. 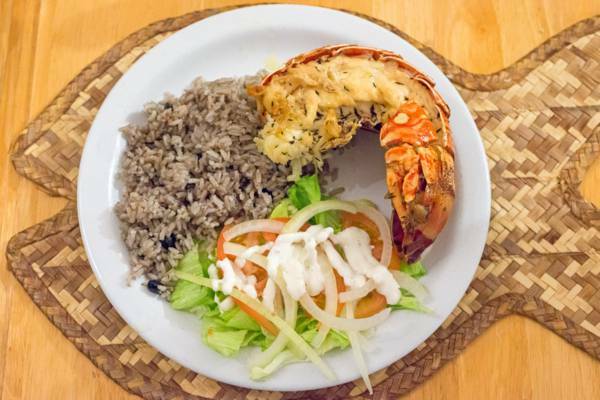 Seafood such as queen conch, fish and lobster of course was the primary ingredient of most dishes, and sides of spicy rice with beans or peas, and locally-grown mixed green and vegetable sides was common. Seafood and some herbs and vegetables could be produced in the Turks and Caicos, but staples such as rice and grains, and to a lesser extent salt meat, sugar, coffee and tea had to be imported. Although pan-poached fish with peas and rice, and classic fish stews are still favourites, breaded and fried conch fritters and conch salad have become the main dish associated with the Turks and Caicos. Flavours from across the Caribbean have also made their way into the kitchens of the Turks and Caicos, especially from the fellow Commonwealth countries of the Bahamas and Jamaica with their fish stews and jerk seasonings. Over the last decade, the farming of vegetables, fruits, herbs and spices has seen a welcome comeback to the country. Sites such as the Government Farm on North Caicos raise produce with traditional methods, and the hydroponic and aquaponics farms on Providenciales, which grow much-needed fresh and delicious lettuce, tomatoes, peppers, cucumbers, papaya and more. A sign of the changing times are resorts such as the all-inclusive and luxury Amanyara, which features an onsite organic hydroponic farm which supplements the resort’s gourmet dining. Another genre that the Turks and Caicos does well is causal and outdoor eateries. Restaurants with great beachfront and inland settings can be found on all of our inhabited islands, and cuisines range from local to international and grill favourites. Many casual sites are family-friendly and offer children’s meals. The beach provides perfect entertainment for kids while you wait for food! 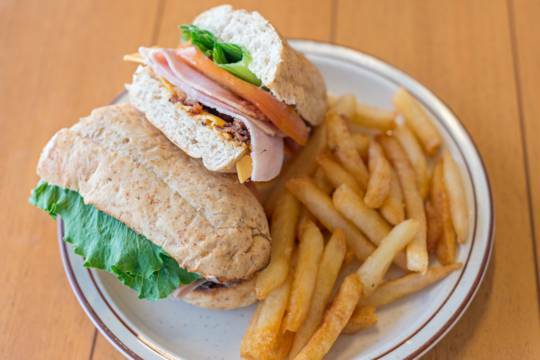 There are many places to find proper burgers, fish and chips, Caribbean BBQ, or wings. If you’re looking to start with cocktails or drinks, the waterfront sites are an ideal and romantic place to watch the sunset. 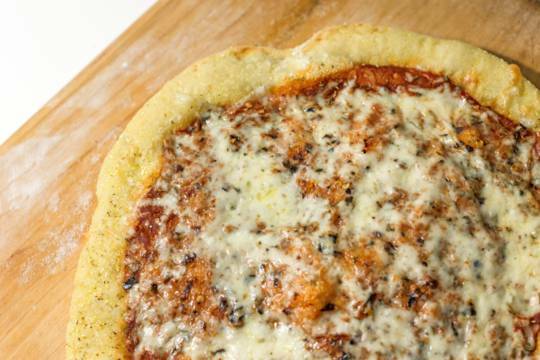 There are several great Italian and pizzeria restaurants if you’re craving pasta or pizza, and both gourmet and classic American-style pies are available. Pizza delivery, a common amenity in other regions, has made its advent on Providenciales, and it’s now possible to have a local take-out joint deliver directly to your hotel room or private villa. 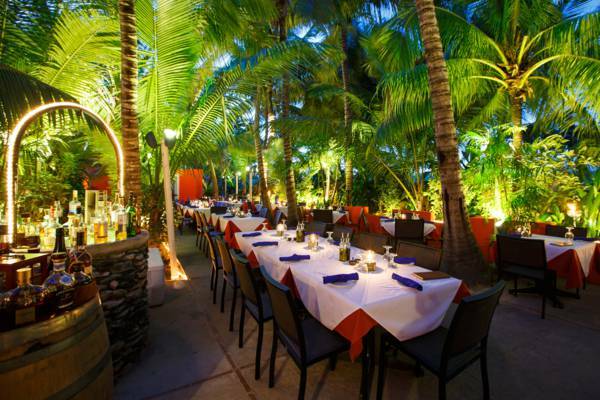 Outdoor fine dining amongst the coconut palms at Coco Bistro, Providenciales. Each of the islands in the Turks and Caicos offer a unique set of restaurants to choose from. 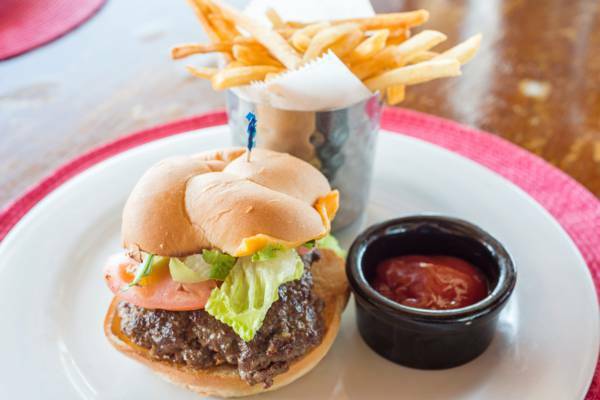 The number of restaurants on our smaller islands and cays is often quite limited, yet the food tends to be excellent. Due to the day arrivals of cruise ship guests, Grand Turk supports a large number of lunch spots. In the evening when everything quiets down, restaurants in old Cockburn Town shine, with great food and live music. On North Caicos and Middle Caicos, local and fresh ingredients are the centre of many dishes. The fish and lobster that factor into the dishes are usually caught only hours before serving. 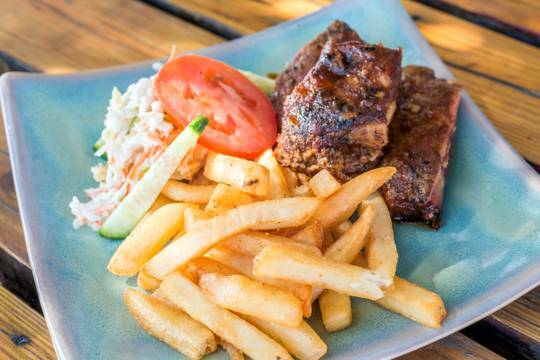 The little island of Salt Cay isn’t outdone, and the island’s four culinary options reflect local, international, and bar and grill favourites. If you're staying on Providenciales, we recommend that you pick up a copy of our local Dining Guide magazine. This quarterly publication offers overview of most of the restaurants on Providenciales, and includes menus, photos and price guidelines. Generally, we advise making reservations, especially at fine dining restaurants, and at establishments on our smaller islands. Some popular restaurants, such as Coco Bistro, may experience limited availability, so confirm well in advance of your arrival. The availability of accommodations, excursions and services in the Turks and Caicos varies according to the season. The winter and spring “high season” experiences the greatest number of tourist arrivals, in contrast to the late summer “low season”. See Best Times to Visit the Turks and Caicos for more information. In recent years several food-oriented festivals have been started, such as the Conch Festival. These events offer a great opportunity to sample some of the local cuisine whilst also offer insight into the cultural history of the islands.